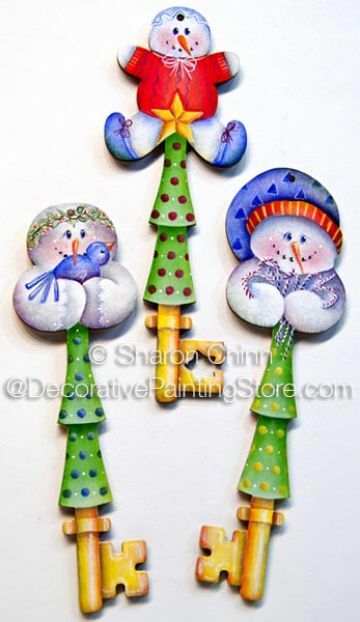 3 Snowman keys ... A snowman with an armful of candy canes, a jumping jack snowman, and a snowman holding a bluebird. Use them as ornaments, gift tag tie-ons, tied around napkins, arrange on a wreath, or just use your imagination. Pattern includes multiple photos, instructions, line drawing.